What a beautiful novel. I can hardly believe I haven’t read anything by Elizabeth Strout before. If someone can write a book like this, then surely, her other books must be outstanding too. Lucy Barton looks back on a time in her life when she spent nine weeks in hospital suffering from a strange illness. Back then, she was married, had two small kids, and was an aspiring author. Lucy comes from a dirt poor family. However, it’s not only poverty she suffered from but cultural deprivation. They had no books, no TV, no radio. Little Lucy was profoundly lonely and that was, she thinks, the reason why she was drawn to books and reading and later to writing. She left her hometown Amgash, Illinois and moved to New York. During her time at the hospital, she often lies away at night and looks at the illuminated Chrysler building. It’s like a beacon. Looking at it helps her ward off feelings of loneliness, gives her hope. One day, she wakes up and finds her mother whom she hasn’t seen in years, next to her bed. Her mother stays five days and watches over her. During these five days, Lucy discovers how profoundly she loves this distant woman and how much it comforts her to know she’s close. The narrative moves back and forth in time. From the hospital room to her childhood and from there to a future with a second husband and a stunning career as a writer. At times, the novel reminded me of Jenny Offill’s book Dept. 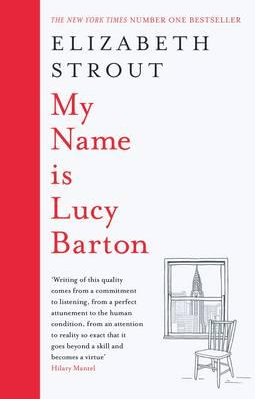 of Speculation, but My Name is Lucy Barton is so much warmer, so much more emotional. I absolutely loved it. It explores so many topics. Families, the relationship between mothers and daughters, poverty, loneliness, the artist’s life, New York, . . . The voice is very endearing. It’s hard to imagine, this is an accomplished writer talking, the narrator sounds much more like a naïve girl. A very loving one, a girl who tries to find beauty and goodness in everything. It’s endearing and a bit frightening. Another writer would have chosen to throw disaster at her, but not so Elizabeth Trout. She has her character navigate the choppy waters of chance encounters, friendships, marriage and family relationships, without ever being wrecked and going under. There’s heartache, sadness, and loneliness, but Lucy’s always able to see something good and move on. She’s a true survivor. Her childhood sounds horrific. Her parents were abusive, the poverty was brutal. But Lucy survived and everything she’s given, seems like a gift. She stayed true to herself and remained kind and caring and humble. This may sound a bit mushy, but it’s actually not. The tentative way in which the narrator tries to describe her life, her feelings, gives it great authenticity. At times, it feels like listening to someone talking. It’s a fantastic book. For readers and for writers. I loved the many complex characters. Some appear only very briefly, like the writer Sarah Payne, who is extremely important for Lucy. It’s Sarah who tells her, that author’s shouldn’t be too concerned with plot as every writer only has one story that he will tell again and again. In Lucy’s case, that story is about trauma. While I’ve seen many authors write about PTSD or childhood trauma, I’ve hardly ever seen anyone, touching this subject in such a delicate way. From war trauma to abuse to AIDS, and 9/11, there’s so much suffering, but it’s like it’s presented behind a thick layer of fabric. Here and there something flares up but it’s never allowed to occupy too much space. It’s pushed back by deep and authentic experience and emotions. How Vicky managed to this day I don’t know. We were not as close as you might expect; we were equally friendless and equally scorned, and we eyed each other with the same suspicion with which we eyed the rest of the world. There are times now, and my life has changed so completely, that I think back on the early years and I find myself thinking: It was not that bad. Perhaps it was not. But there are times, too—unexpected—when walking down a sunny sidewalk, or watching the top of a tree bend in the wind, or seeing a November sky close down over the East River, I am suddenly filled with the knowledge of darkness so deep that a sound might escape from my mouth, and I will step into the nearest clothing store and talk with a stranger about the shape of sweaters newly arrived. This must be the way most of us maneuver through the world, half knowing, half not, visited by memories that can’t possibly be true. But when I see others walking with confidence down the sidewalk, as though they are free completely from terror, I realize I don’t know how others are. So much of life seems speculation. I hope that I managed to capture the beauty of this book. It’s such a stunning novel. I can’t wait to read more by Elizabeth Strout. Wonderful review, Caroline! I didn’t know that Elizabeth Strout has come out with a new book. This book looks quite beautiful. I love characters who are positive and warm even if the situation is bleak. This modern thing where some writers write everything as dark and bleak – characters, situations, story – I don’t know why they do that. When I read your review, I couldn’t stop thinking about Strout’s other book ‘Olive Kitteridge’. I haven’t read that but I saw the TV series version last year. It was quite beautiful and I liked it very much, but there was also an underlying bleakness – the main character was tough on her family and other people close to her, but she was kind to people who were outside this close group. It was sometimes hard to watch. It looks like Strout turned that thing around in her new novel and I really love that. Have you read ‘Olive Kitteridge’ or seen the TV series? Thanks for writing about this book. I will add it to my ‘TBR’ list. Thanks Visy. I loved this book. There are bleak elements but overall it’s so warm and compassionate. It’s my first Elizabeth Strout. I think it only just came out. Last month maybe. I picked it up in a book shop and couldn’t stop reading. I had to get it. I want to read more of her. 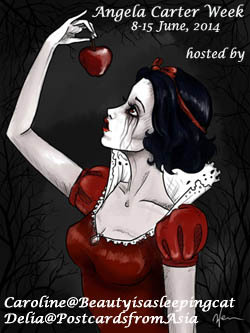 I understand that some writers want to show dark things but personally I’m grateful if a book can show beauty and hope. I’m looking foward to your thoughts on this. Thanks Vishy. I’m really looking forward to hear what you think of this. I’ve got my readalong and the Hesse week coming up, so I might not be able to read Olive Kitteridge for a while. “I can’t wait to read more by Elizabeth Strout.” Caroline, You are in for a treat! Do add Olive Kitterage and The Burgess Boys to your tbr list! As Vishy mentions, there is an underlying bleakness but there is also an underlying empathy. Thanks for the comment, martha. I’m really looking forward to read Olive Kitteridge. Yes, empathy, that’s what she shows in this book. And it’s so emotional. In lesser hands that could have gone wrong and turned into something sugary. I made the mistake of trying to listen to the audio of The Burgess Boys. I should know by now that audiobooks simply don’t work well for me (there was nothing wrong with the little I heard of the story). My negative experience put me off considering reading Lucy Barton, but thankfully, you’ve convinced me to give it a try now. I can’t listen to audiobooks either. I just get distracted. I sem to remember loads of positive reviews of Olive Kitteridge and of Lucy Barton but some mixed reviews of The Burgess Boys. I hope you’ll read this., I’d love to know what you think of it. Am currently half-way through the audiobook and it is wonderful! Will come back to your review when I have finished. I can only add my recommendation of Olive Kitteridge to all the others. You’ve convinced me. I need to read Olive Kitteridge. I’m glad to hear you like Lucy Barton too. It’s so understated and masterful at the same time. I also saw Olive Ketteridge on televsion and thought it was outstanding. Sounds like this book is as well! Beautiful review, Caroline – your love for this book really shines through. I’ve heard so many good things about Elizabeth Strout that I feel I must give her a try at some point. Interestingly, a friend very nearly picked Olive Kitteridge for our book group last year but something else caught her eye in the end (we have a rotating pick). Maybe she’ll choose Lucy Barton when her turn comes around again. Thanks, Jacqui. Thus was such a surprised and I loved it so much. The Olive Kitteridge hype kept he from reading it, at the time. I hope for you your friend will choose this. It’s so rich. This is one of those books I know I’m going to have to get for my birthday because everyone is raving about it. Lovely review of what sounds like a beautiful book. Thanks, Cathy. It is a wonderful book. I haven’t read one single newspaper review that wasn’t positive. I hope you’ll enjoy it as much as I did. Great review Caroline. I’m hearing lots of good things about this book, and the quote you give is excellent. One to watch out for! Thanks, Karen. I can see why peple like it. I felt I needed to add a quote because her writing is really distinctive. Hope you’ll give it a try. I watched, and loved, Olive Kitteridge a while back, so went and read the book too. It is very good. I have My Name is Lucy on order at the library, so hopefully will get to it too. I’ve also requested a few of Strout’s backlist as well. Glad to hear you enjoyed this one, bodes well. And I’m a glad you liked Olive Kitteridge. I need to get to it soon. I hope you don’t have to wait too long for this one. I’d be interested to hear what you think. I rarely reread books but this one – I might. What a lovely review, Caroline. I haven’t read this one yet, but I have read two other books by Elizabeth Strout: Olive Kitteridge and The Burgess Boys. I enjoyed them both, but Olive Kitteridge was my favorite of the two. 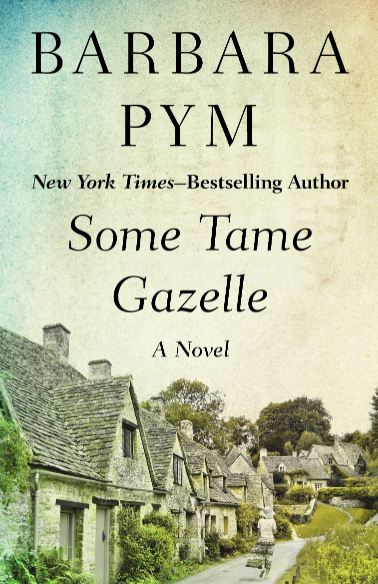 That is a “novel in stories.” Even though each story could stand alone, the stories are intertwined, all set in the same town in Maine with the same characters making appearances throughout. It worked on many levels for me and never felt gimmicky. I think you would enjoy it. Thanks you, Jackie. I think the idea that it’s a novel in stories held me back a bit but you make it sound appealing. I’ve read some novels like that and enjoyed them and some I found hard to get into. But since you liked it, I’m sure I will too. I read Olive Kitteredge and also found it to be bleak but very well written. I think it won the Pulitzer? Would love to see the TV series, as Frances McDormand plays the title role. She is so good in everything. This book sounds much more enjoyable, so I will probably add it to the pile. Yes, she did win the Pulitzer. I’ll have to pick the right moment for Olive Kitteridge. I don’t always do well with too bleak. I really need to read it before I watch the series. I love Frances McDormand. She’s so good. Lucy Barton had it tough but the way it’s written, isn’t bleak at all. At least, i didn’t think it was. Let me know what you think. I have to balance depressing novels with something lighter or they get to me. I had heard a lot of good things about this book. As for the author not following what would have been a typical path of introducing excessive hardships on the protagonist; I am beginning to appreciate authors who do not use such cliches more and more. Thanks, Brian. You’re absolutely right – it has almost become a cliche the way authors let the characters undergo the mist awful things. I’ve been seeing this book everywhere. Glad you mentioned that it wasn’t mushy as I was getting the impression that it was. Sometimes it’s hard to tell unless a reviewer addresses that fact directly. I think the various covers don’t help. The covers don’t work in the books favour, I agree. I had to mention the fact that it’s not mushy because I realized my review could give that impression. It dies gave an edge, it’s just not bleak. From what everyone says, I think you’d like Olive Kitteridge. Thanks for the rec! I’m always on the hunt for new reads, xo. My pleasure. Did you see, she’s been longlisted for the Bailleys Women’s Prize for Fiction. I’m reading another one that’s on the list right now “The Portable Veblen.” It’s great so far. It is lovely. I always like to read reviews of people who don’t share my view because sometimes I notce I missed something or that there are just different ways of reading a book.